"While our student and alumni surveys have consistently noted the value of our business programs, the ACBSP accreditation is a meaningful milestone in the evolution of the school," said Dr. Thomas Horan, dean of the U of R School of Business. "It signifies and validates that we are operating at a level of excellence required for such accreditation. “Moreover,” he continued, “to receive this 10-year accreditation with accolades for exceeding all six of ACBSP's standards of excellence gives us a tremendous sense of confidence in terms of how we can positively impact the success and careers of our business students." In its evaluation process, the ACBSP—which accredits business programs at more than 1,200 campuses in 60 countries—encourages self-study and examines an institution’s leadership, strategic planning, relationships with stakeholders, quality of academic programs, faculty credentials, and educational support. While the University of Redlands as a whole is accredited by the Western Association of Schools and Colleges, the ACBSP accreditation for the U of R School of Business is another layer of quality assurance. "The University of Redlands has shown its commitment to teaching excellence and to the process of quality improvement by participating in the accreditation process," said Dr. Steve Parscale, ACBSP chief accreditation officer. "This accreditation is evidence that the University is committed to providing the highest quality business education for its students." 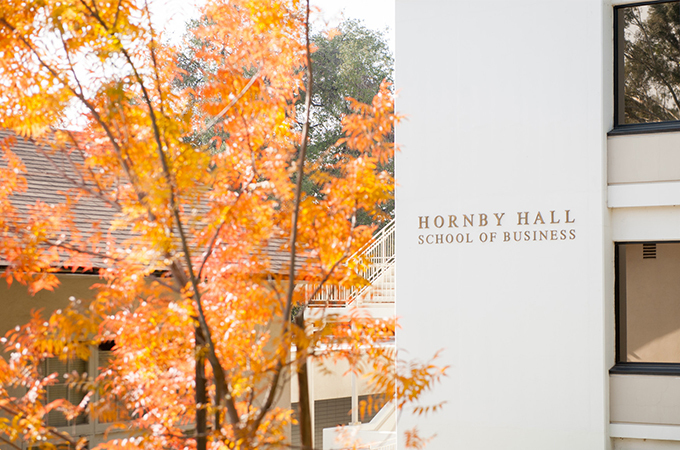 To learn more about U of R’s School of Business, which operates at seven campuses throughout Southern California and provides the opportunity to earn an MBA online, see the School of Business website.